On the eve of another Montreal Canadiens hockey season, there is good news on the programming front at TSN 690 Radio. Two female broadcast personalities who really know the game inside and out, Robyn Flynn and Jessica Rusnak, are getting their own show starting September 27. It will be called Centre Ice and air Sunday mornings at 10 am. The official announcement is expected to come next week. When I reached Flynn, she noted that this will be a hockey show primarily focused on the Habs and the NHL, but with some attention paid towards the Canadian Women's Hockey League (CWHL) as well. All I can say is it is about time! Rusnak is one of the hardest working reporters on the beat. 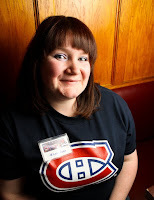 She has been covering Canadiens home games and practices for years and frankly I have always wondered why she did not get more airtime to guest host or do Sports Centre updates. The Pointe Claire resident has never been shy to ask the tough questions and really knows the game well. While most people in her position would have moved on by now to another opportunity, she has stuck with it. I hope that this new show allows her to shine and opens a few new doors. Flynn is another success story. The Chateauguay native, who now calls NDG home, started off in 2011 as a volunteer at TSN 690 and sat in on any shift available. She soon found work on CJAD doing traffic reports and acting as a technical producer while still scoring some TSN 690 and Habs broadcast assignments. She is extremely articulate and like Rusnak she knows the game well. CJAD recognized her abilities when they made her the permanent mid-day technical producer for Tommy Schnurmacher and Barry Morgan. "I've been pushing for the chance to host my own hockey show for a while, and the timing just seemed to finally work out," Flynn says. 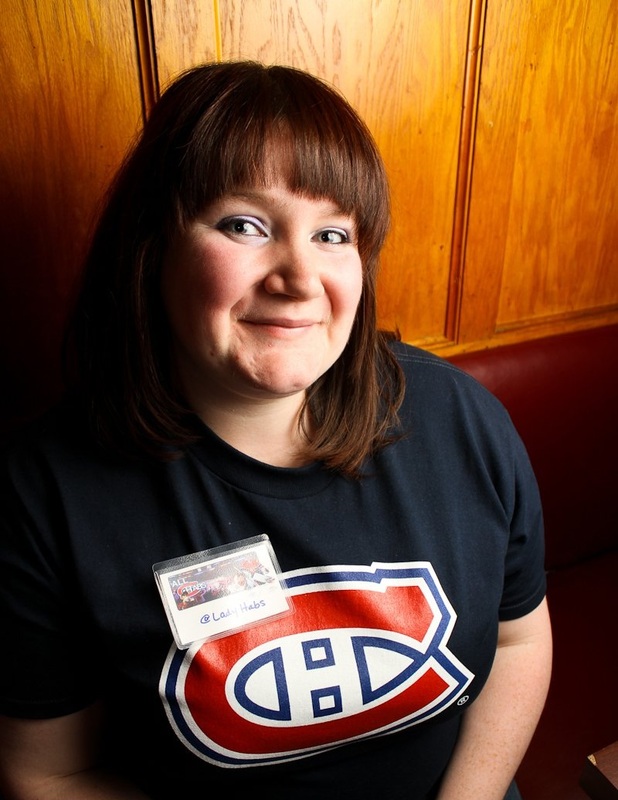 "Jess Rusnak has been on the Habs beat for several years, and I've spent a good chunk of time in the Bell Centre press box and the visitor's locker room. I think that between the two of us, we'll be able to offer up some unique insight on the Habs and the NHL. I'm also really excited to talk about the CWHL. The women in that league work so hard, and the on-ice product is excellent. The more exposure and coverage they get, the better." Yeh! Yogurt and Café has closed its Fairview Centre location in Pointe Claire. But officials there note that the decision is related to restructuring at the company and the movement to franchised stores. Yeh! is expanding rapidly in the Orient and the Middle East as well as Western Canada. They also just opened a Yeh! Express at the Walmart in Laval's Ste. Dorothée district. The Fairview location was placed in the large food court. This did not turn out to be the best of spots. First off, there are many competitors in terms of dessert options. Paysanne Gelato, for instance, is placed right near one of the most convenient entrances near Old Navy. Yeh! is better suited for storefront. My biggest gripe with the Fairview food court is the fact it does not have free WiFi, something the younger Yeh! customers tend to enjoy. You can still get your West Island fix for Yeh! Yogurt at Cinemas Guzzos on Sources Boulevard. My sources tell me that another West Island presence is now being looked into.